1: What router-model is it? 2: What firmware version is used? I decided for: dd-wrt.v24-26138_NEWD-2_K3.x-big-RT-N66U and it works. LAN Ports are not working/ not addressing. You have a bogus vlan here. 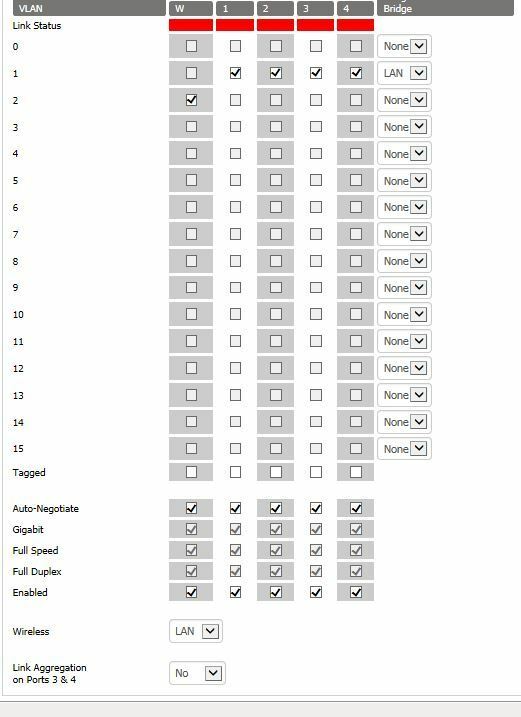 It should only be vlan 1 and 2. 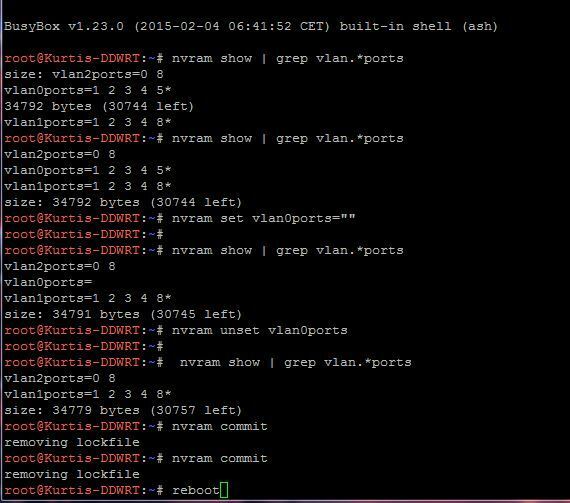 I tried the command: nvram unset vlan0ports and nvram commit before rebooting.. But after rebooting the N66U the Vlan 0 is again there and LAN Ports still not addressing/working. Why? What can I do? There have been posts with that specific router model. I have an RT-AC66U that have the same switch chip. There is no vlan0ports in nvram. You can also try nvram set vlan0ports=""
Is any ports ticked for vlan0 in the GUI? I tried now: nvram set vlan0ports=""
The screenshot of the GUI is not correct. 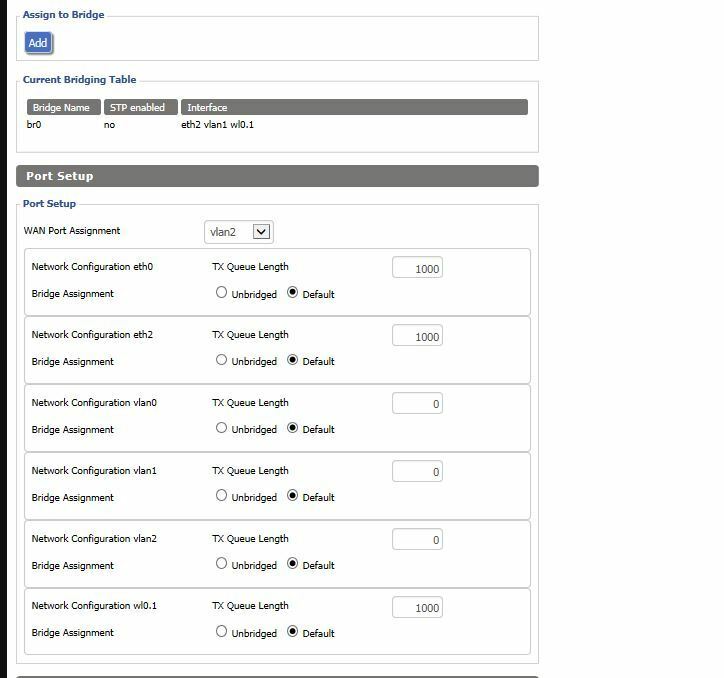 vlan2: Wan and asigned to none. Do the wan port work? You probably have to update the CFE on the router. Update works only on Merlin's mod. 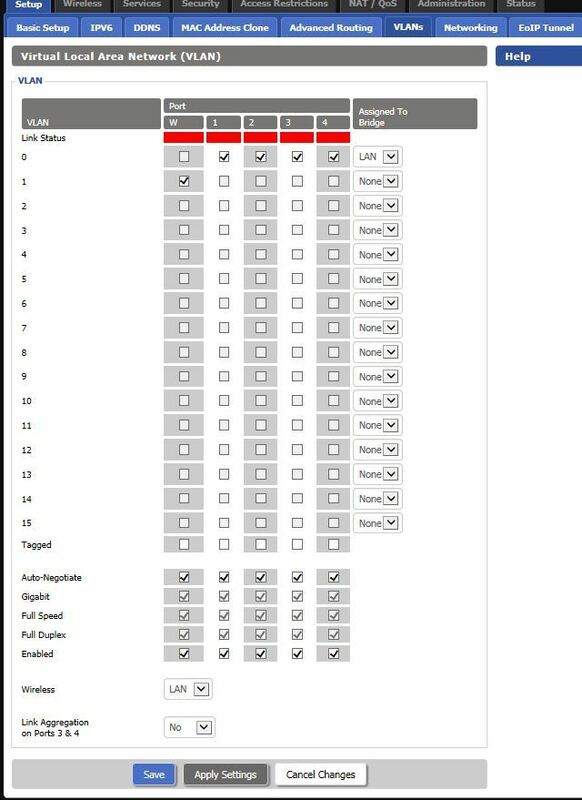 This means I have to change the firmware again first and the brick the (unbrickable) router maybe during CFE upgrade? It's really easy. Using telnet, it's a a couple of steps. Hello thx for your help. I am running Merlin Mod now and I am able to connect with putty to the router. The next problem is, that when I am connected to the router I have no internet connection with putty. Is not working. I saved the tgz file now local on my computer but what is the right command to access to this local file? Enable sshd on your N66U, then use scp to copy the file over (putty has pscp.exe). I have to replace wget http://files.ryzhov-al.ru/Routers/RT-N66U_CFE_update/cfe_n66u-1.0.1.9.tgz with pscp D:\cfe_n66u-1.0.1.9.tgz 192.168.1.1:/tmp?? You should have Internet acces while using telnet. I've done this procedure many times. After that I changed again firmware to dd-wrt.v24-26138_NEWD-2_K3.x-big-RT-N66U. On Setup->Networking: wan set to vlan2 ->this has already been set. I checked the nvram show | grep vlan. *ports and vlan0 not there! AND NOW I AM WRITING this POST over LAN-CONNECTION!! Thank you very much. DD-WRT rocks!! Unfortunately not because I have only through WLAN Internet and use the router as repeater too.